When animals fall victim to unwarranted human intervention and ineptitude, it gives pause for reflection. Almost every week in Pakistan brings to light some distressing cases. Recently, a snow leopard — listed as a ‘vulnerable’ species with a population of only around 200 in Pakistan — was found dead in its cage at Peshawar Zoo. Captured from the wild at the age of two, the beast had been living at the Ayubia National Park in Abbottabad district, a cold and hilly area that is not too unlike snow leopards’ natural habitat. It had recently been brought to the lower altitude of Peshawar. The cause of death is disputed — zoo authorities insist it was a ‘natural’ death, while conservationists’ believe that the rising temperatures and poor living conditions played a major part. An animal used to temperatures of 15ºC or under, died on a day that was recorded at 26ºC, and that too whilst being kept in a cage covered with iron sheeting. This is the third animal to have died at Peshawar Zoo since the facility’s inauguration in February 2018. Then recently two female tigers died at the Lahore Zoo, while a male is in critical condition. The cause is a blood parasite attack, and if the male succumbs as well, the zoo will be left with just two tigers. One could go on about the cost of purchase and the upkeep of such exotic animals and the losses incurred on account of their death, but that would be to miss the point. Pakistan’s zoos are everywhere in bad shape, filled with disheartened, suffering animals. Far from being places where the diversity of life can be celebrated, zoo facilities here are mostly candy-wrapper-littered wastelands where creatures of the wild are jailed. Even in the developed world, where zoos are sanctuaries, a movement is building about not confining animals. In Pakistan, where they are kept in abject conditions, there is urgent need to dismantle zoos altogether. There appears to be no limit to the injuries that Pakistan’s various bureaucracies and zoo authorities are willing to inflict on wordless creatures. Over the years, the lists of animals dead or dying, but always overwhelmingly treated in less than a satisfactory manner, has mounted so that the import of animals for the entertainment of the public has itself become questionable. It is not a matter of individuals having their heart in the right place, but of institutional capacity and coordination. Consider, for example, the fact that in the Lahore Zoo, two giraffes died within a month of each other. A trio of the beasts imported from South Africa had arrived on June 25: one of the females died just four days after arrival. Another female imported in early August died on Aug 23. According to the zoo vets, the animal that died in June had developed wounds in her mouths during transportation as well as a gastro infection, while the second giraffe had arrived in a frail condition. Earlier, at least six giraffes have died here in the last decade. This grim situation demands a detailed inquiry in terms of the budget allocated to the zoo for purchase of costly animals such as giraffes. Out of the first trio of giraffes imported from South Africa on June 25, a female died just four days after its arrival. Another female imported on Aug 2 died on Aug 23. According to the zoo veterinarians, Dr Rizwan and Dr Warda, the female giraffe that died in June had developed wounds in her mouth during transportation as well as gastrointestinal tract infection. They said the second giraffe was already frail when she reached the zoo. “We immediately prepared a report on the weak condition of the animal and submitted it to the authorities concerned,” they added. They also said that an inspection team constituted to check the imported animal was not available. However, zoo officials said that no report could be issued on an animal before 30 days of the import under an agreement with the supplier. According to wildlife experts, there is no quarantine facility in the country for imported animals, which is an imminent need, but the wildlife department has never taken this issue seriously. “We need to change the process of import of big animals,” said Lahore Zoo Director Hassan Ali Sukhera. He said that import of animals should not be carried out through the Public Procurement Regulatory Authority because purchasing animals involved a lot of parametres. An agreement should be made between the zoos or a committee of experts formed to examine an animal by visiting the host country, collect its blood samples, got them tagged and then transported to Pakistan. He agreed that Pakistan did not have any high-tech quarantine facility to keep animals after their import. “There is no quarantine facility at airports as well, especially for big animals,” regretted the director. He said the giraffe would be replaced, as the supplier was bound to provide a new animal if one died within 30 days of import. But to many wildlife experts, the question is whether more giraffes, or other animals for that matter, will keep dying here or the zoo will create favourable conditions for their survival? The vets say they prepared a report on the second animal and submitted it to the relevant authorities, but zoo officials said that under an agreement with the supplier, no report may be issued about an animal within 30 days of its import. Further, there exists no quarantine facility for imported animals — which ought to deeply concern the Wildlife Department. While these gaps in the system remain unaddressed, the treatment of ‘exhibits’ in the facilities that house tends also to be thoroughly inhumane. 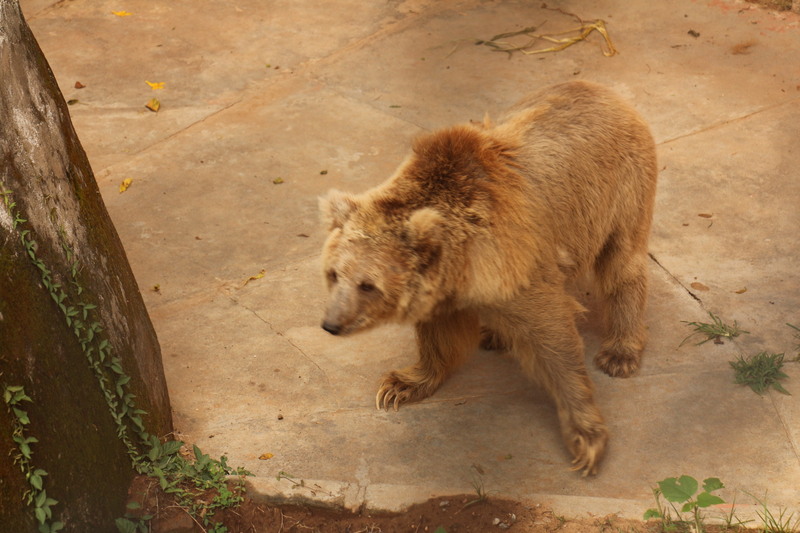 Islamabad’s Zoo has lost 15 animals over the past couple of years, including an ostrich, lion cubs and nilgai, in addition to a bear in July 2018. Meanwhile, neglect at the Karachi Zoo also continues to cause similar losses. Running such facilities is about animals’ welfare as opposed to being a public attraction and a city landmark. Until the realisation dawns and the authorities break out of their calcification, it is better that such facilities be shut down.